France is the most visited country in the world. It has everything that you could ever want to see on your holidays: a great city like Paris, good beaches, more monuments than any other country, lovely nature, incredible mountain scenery; need I go on? France is also a very pleasant place to stay. It has good food, great wines and people enjoy their lives. And the best thing is, maybe apart from Paris, living in France does not have to be expensive. The North of France consists of the flatlands around the town of Lille and the English Channel. This area will remind visitors in many ways of Belgium and the Netherlands. The Grand’ Place in Lille for example is a lot like the one in Brussels. France is very touristy country. There are plenty of cafés, restaurants, bars, museums, and other ouristy places, and they are cheaper than in other European destinations. There is a lot of information about France, either if you are planning to travel or if you are already there. You can read travel guides online or contact us. If you are there you will find many tourist offices that can provide you with any information you might need. 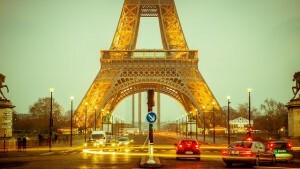 Paris, the city of light and its surroundings are some of the most visited areas. Paris is without a doubt one of the most beautiful cities on the planet. With so much to see and do, renting one of the many Paris apartments is the perfect way to enjoy the city. Having the time to enjoy this fantastic location like a true Parisian is an unforgettable experience. The West of France is facing towards the Atlantic Coast. In the north Normandy & Brittany have rolling hills, sandy beaches and quiet little harbour towns. Normandy & Brittany have a more rugged coast and many neolithic sites. It has quite a distinct atmosphere from the rest of the country; you can still sense the Celtic origin of the region in its inhabitants. The eastern part of France consists of the Alsace, Lorraine, Franche Comté and Burgundy regions. The landscape has rolling hills and many beautiful cities, such as Metz, Strasbourg, Nancy and Dijon. This region produces many famous wines, including magnificent pinot noirs and chardonnays valued the world over, as well as the famous “Yellow wine” from the Jura mountain vineyard. The Centre of France is in many ways the most quietest part of France. But the great treasure of this region is the Loire valley , with many great castles and beautiful towns. Chartres with its famous cathedral and Tours rates among the most beautiful French cities. The Alps are great for skiing in winter and hiking in summer. Albertville, Grenoble and Chamonix have all hosted the Olympic games. But the Alps also have nice towns to visit, such as Chambéry, Annecy or Grenoble . The South with its lovely nature, good food, Roman ruins and of course the Riviera which draws a lot of visitors every year. Towns like Orange, and Arles but also big cities like Marseille and Toulon are must sees. The Provence is dotted with pleasant small villages. In the South west of France the Dordogne is one of the most quintessential French regions. The valley is so pretty, the towns are so quaint and the food is so good, that it is hard to believe that the people who live here go somewhere else for their holidays. The Languedoc has its own language and culture. In the south of the Languedoc you find the Pyrenees, a great mountain range separating France from Spain, where you can hike and ski. The towns of Toulouse and Montpellier are nice and the medieval town of Carcassone is a top destination. With 15.4 million visits in 2009, Disneyland® Paris is the most visited tourist destination in Europe. Disneyland® Paris comprises two Theme Parks offering 53 exciting attractions. Disneyland® Park captures the wonder and fantasy of a classic Disney theme park while the Walt Disney Studios® Park features the magic of movie-making. Disney® Village, entertainment district of Disneyland® Paris, is the largest entertainment complex in France outside of Paris, with 30,000 m2 of themed dining, entertainment and shopping facilities. It incorporates an array of leisure opportunities, such as PanoraMagique (the world’s largest helium-filled passenger balloon), a multiplex movie theatre with an IMAX screen, Disney boutiques, restaurants and bars. More than any other landmark, the Eiffel Tower has come to represent an elegant and contemporary Paris. The iron tower, which was built for the 1889 World Exposition by Gustave Eiffel, was wildly unpopular with Parisians when it was unveiled, and was nearly torn down. It has since attracted over 220 million visitors, and it would be hard to imagine Paris now without it. The tower crowns the Paris night sky with its festive light, and glitters up a storm every hour. Cliché? Maybe. But essential. No first trip to Paris is complete without a visit to this marvel of gothic architecture. One of the most singular and beautiful cathedrals of Europe, Notre Dame Cathedral’s dramatic towers, spire, stained glass and statuary are guaranteed to take your breath away. Witness firsthand the spot that was once the heartbeat of medieval Paris, and that took over 100 years of hard labor to complete. Climbing the North tower to see Paris from the hunchback Quasimodo’s vantage is essential, too. You’ll soon understand why Notre Dame is one of Paris’ top attractions. The city of Cannes is situated in the southern part of France, in the Riviera region and has a population of approximately 70.000 inhabitants. 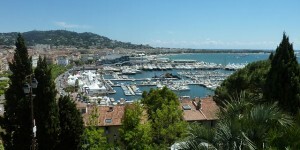 Cannes is very famous around the world for its Film Festival and also for its Cannes Lions Festival. This a luxurious city and has tourism as its principal resource. It is 905 km away from Paris, 164 km from Marseille and 26 km away from Nice. The coast is very visited. The Boulevard de la Croisette is one of the most important attractions for tourists who love the beach, sun and sand. La Croisette is a 12 km waterfront avenue bordered with palm trees, with many elegant hotels, cafés, shops and restaurants around. Visiting the Musée de la Castre is also a good option for seeing impressive works of art, paintings, sculptures and decorative art. And if you want to relax visit the Îles de Lérins (Lérins Islands) with nice views and beautiful beaches. The mountainous island is extremely well suited to walking, and options range from difficult multi-day hikes to strolls along clifftops, and day hikes up into the mountains. The GR20 is reputed to be the best and most challenging long-distance walk in Europe, and is the most famous hike in Corsica. Fifteen days of demanding walking takes hikers along the inland granite spine of mountains dividing the island from Calenzana to Conca. Other well known, but less taxing walks include the Mare e Monti (sea to mountains) and Mare a Mare (sea to sea) trails that last from five, seven and 10 days. The area around Corte and Vizzavona has numerous day walks in the mountains; there are also a number of coastal walks such as the walk to Girolata on the west coast or Le Sentier des Douaniers on Cap Corse, and forests and ravines invite walkers to discover beautiful waterfalls, swimming holes and wonderful views. The GR20 should be walked in summer between May and October, although late snows can prevail until June, which requires a more technical approach. Corsica’s Mediterranean coastline offers superb diving opportunities. The sea temperature is warmest in August, and calm, clear waters make for excellent visibility. The Reserve Naturelle des Bouches de Bonifacio is the most visited area with outstanding dive conditions. Almost all the gulfs have dive centers and there are sites in and around Ajaccio, Porto Vecchio, Propriano, Cargese, Porto, Calvi and St-Florent. For expert divers, one of the top dive sites is the wreck of a B-17 bomber near Calvi. The peak dive season is between June and August. Boasting world-renowned terroirs of Alsace, Champagne, Provence, the Loire Valley and wine capital of the world, Bordeaux, visitors who decide to indulge in a spot of wine tasting in France can sip on some of the world’s finest wines while soaking up the luxuriant landscape and dining on magnificent food – a bourgeois paradise!Visitors with a penchant for bubbly should head for Epernay in the center of the Champagne region where it is possible to visit the vineyards and cellars (known as maisons) of the top producers.Wine connoisseurs can also sample Bordeaux’s finest wines at several exporters premises in the city, which serve tourists as a stopover and central transport hub, handy for accessing this famous region which produces arguably some of the world’s finest wines.Many of the vineyards in France are fairly small family run businesses lacking in staff to cater for tourists, but the more famous ones, such as Château Mouton-Rothschild organize tastings and tours of the cellars and vineyards while appointments need to be made with other farms, such as Château Margaux. With so many regions to choose from, each famous for their own cultivars, tourists intent on doing wine tasting are best off doing an organized tour so that the best and most recognized farms can be visited, while those opting to drive themselves should take their time to enjoy the fine wines and verdant vineyards of the French countryside. There are thousands of great restaurants in France. All of them seem to boast about one chef or another, which is good, but for most of us we want to get down to eating. Walk around the city, peruse the menu, and sit down for a meal. Parisians eat lunch at noon, and take their dinner late, around eight o’clock. Restaurants in France can be a pricey affair, but fortunately French law dictates that prices must include service. Rounding off the bill and leaving some change is good practice. Eating in France is an exciting and rich experience. Food in France has many different styles. There are staples, like bread, cheese, and coffee. Bread, especially the baguette, is very common, but there are dozens of different styles and sizes of bread. Each with their own name, own texture, and varied use. As it is with cheese. Hundreds of varieties are produced all over France, including delightful ones by small factories. Then of course there is wine, produced in the seven distinct wine regions of France. Food in France goes so far beyond the basics, where sometimes a simple meal can stretch on for hours, or maybe a dinner that last past midnight. Such is the passion of the French palate. France is a large country extending over a wide field of latitude, therefore the climate differs according to region. In southern France the climate is Mediterranean, characterised by hot, dry summers and mild, wet winters. During winter and spring the southern regions of the Cote d’Azur, Provence and the Rhone valley experience strong winds called ‘le Mistral’. In the north, where the capital city Paris is situated, France has a temperate climate, which means warm summers, cold winters and rainfall spread throughout the year. Along the west coast the weather is generally milder, and summer days can be very hot. The currency of France is the Euro, as with the other countries in the Eurozone (the region sharing the euro as currency includes Austria, Belgium, Cyprus, Finland, France, Germany, Greece, Ireland, Italy, Luxembourg, Malta, Netherlands, Portugal, Slovenia, Spain, Cyprus), and was launched at the beginning of 2002.